This past Summer we planted and nurtured a very exciting, bountiful garden. Beautiful zucchinis come to mind. I seeded and stuffed some that grew too large. I filled them with herbs and vegetables, also from our garden, along with some Great Northern Beans, and the dish was really fresh, fragrant, and vibrant, as well as extremely comforting. 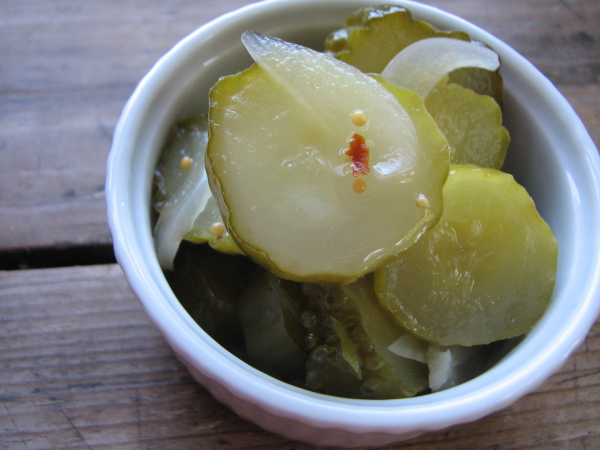 Over the last week we have had rain, and cold, and my body is craving healthy comforting foods. 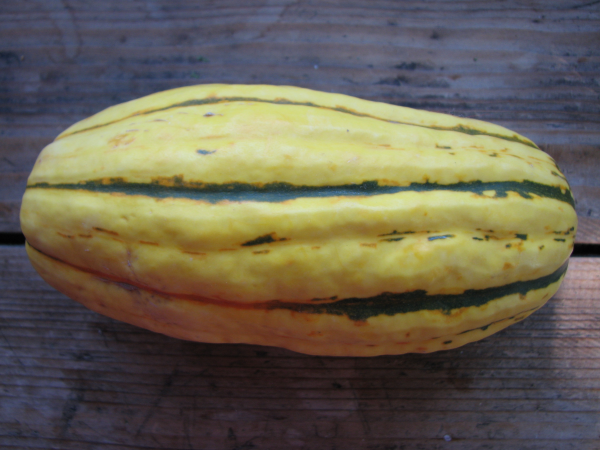 We chose some beautiful Delicata squash, long, red sweet peppers, red onions, and Summer squash, this past week at our Oakhill Organics CSA produce pick up. Some members go to the CSA pickups with an idea of everything they are going to cook during the week, a meal plan so to speak. I stand in front of the vegetables most weeks now, and mentally scratch my head, with mouth agape. Not this week, no siree Bob, I looked at those beautiful Delicatas, and envisioned them stuffed with the rest of the csa vegetables, and herbs from our garden. This is our first year, as a part of the Oakhill Organics CSA, and we absolutely love it! We signed up to be able to choose five items a week, which works out fine most of the time. When we were living in California, we were members of a CSA called Riverdog Farm. While we loved Riverdog Farm, we did not get to choose our produce. We picked up our box, at a designated area, on a designated day, at a designated time slot. 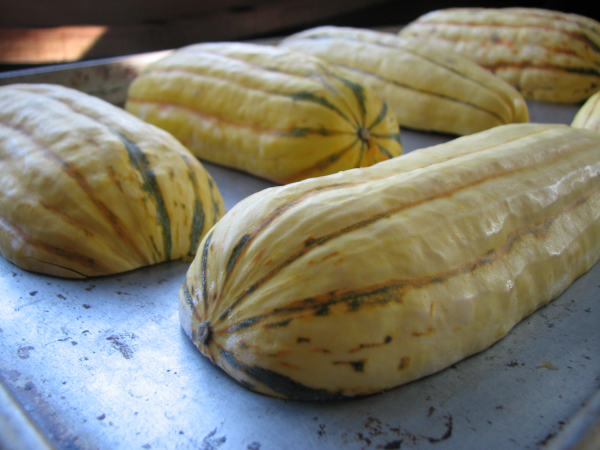 When we would get Delicata squash in our Riverdog Farm box, Dominic used to peel it, cube it, and roast it. Peeling this squash is laborious, and tedious. 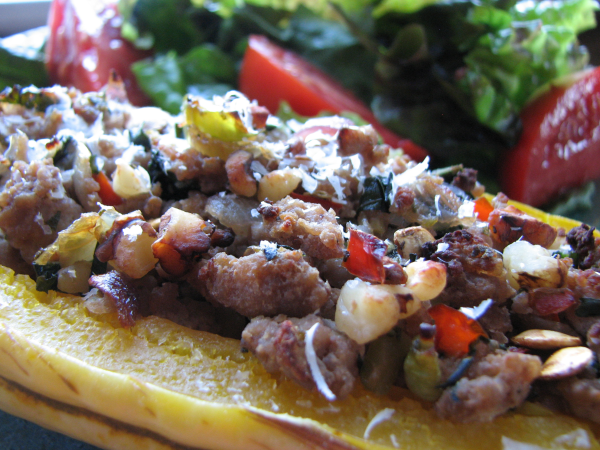 The squash is really sweet and delicious, so in my opinion, worth the work. Although, back then, I was not doing the work. I showed Dominic this weeks vegetables, and when he saw the Delicatas he kind of made a face. It is not that he does not like Delicatas, he was probably just not in the mood to peel squash, at the moment. I did not have the patience, nor did I have the knife skills to peel them. 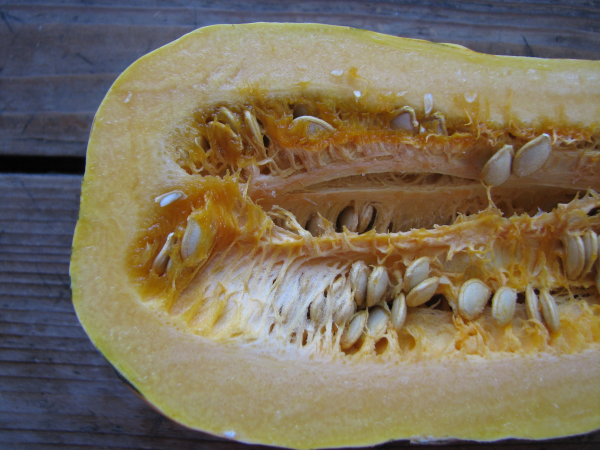 I would instead treat them like I would any other squash or pumpkin, and cut them in half with a dangerously sharp knife, and scoop and scrape out the seeds with a dull spoon. I would then steam them in the oven, until they were fork tender. 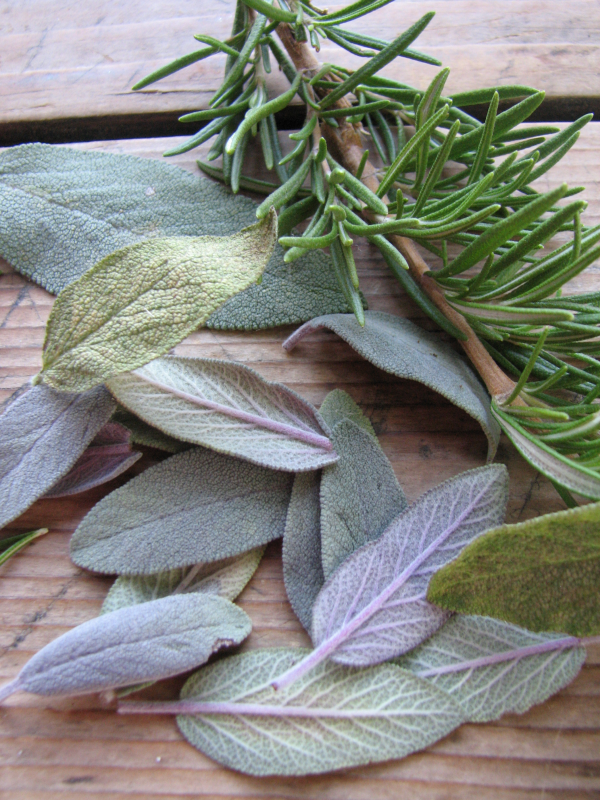 Marjie and Georgia helped me cut rosemary, and two different varieties of sage from the garden for this recipe. 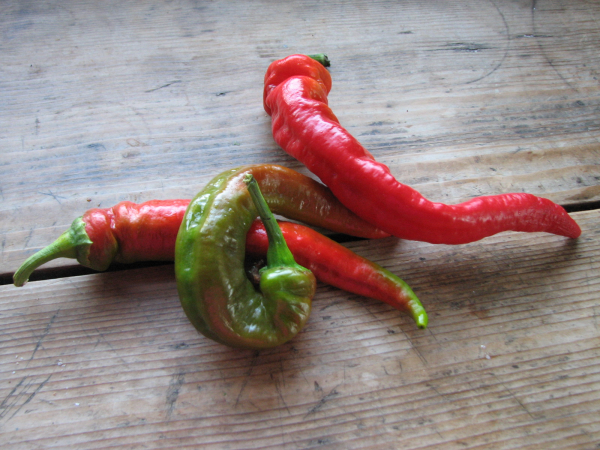 I only used one of these lovely sweet peppers from our CSA produce pick up, because Georgia ate the other two, as a snack , seeds and all. 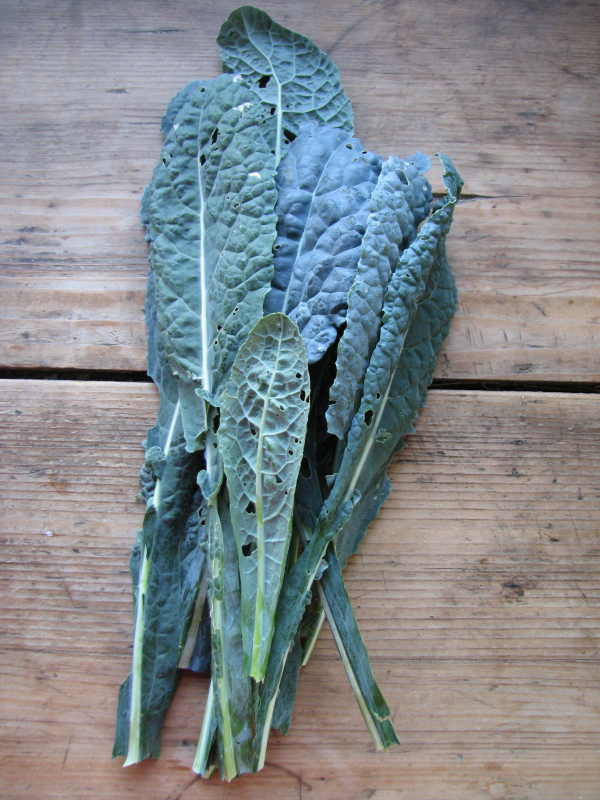 We are growing three different varieties of kale this year. Dominic was talking to his Mother on the phone the other day, and I heard him tell her that this variety, Cavollo Nero, is his favorite. I chopped some up and threw it into the mix. 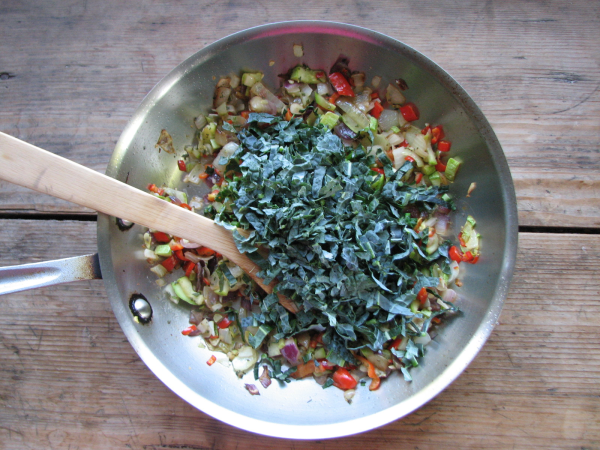 After the vegetables were sauteed, I folded in the walnuts, herbs, and kale, stirring to combine, and allow the flavors to develop. I then added the cooked ground turkey, and stirred to combine. Feel free to leave out the ground turkey if you are a vegetarian, it will not be missed. I stuffed the cavities of the steamed squash, added an optional sprinkle of grated cheese, and then back in the oven to bake for ten to fifteen minutes. Remember to taste your creation, during each step of a recipe, so you can adjust the seasoning accordingly. 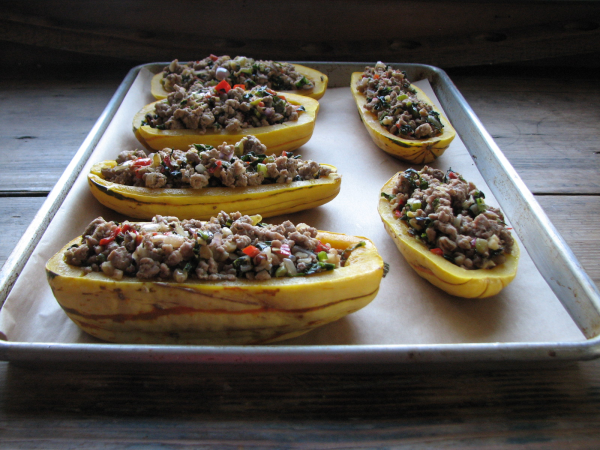 Enjoy this stuffed squash as a side dish or as a main course. 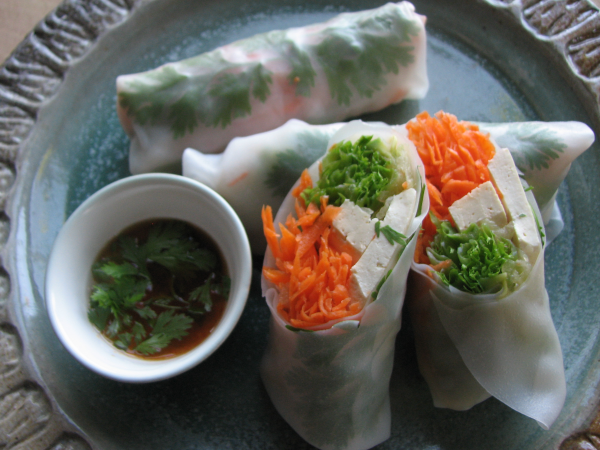 We served this with red leaf lettuce, a balsamic vinagrette, and tomatoes from Oakhill Organics. Marjie does not usually like the texture of squash, so I have to sneak it into soups and sauces. She surprised us by trying it, and eating half of one. Georgia ate the other half. 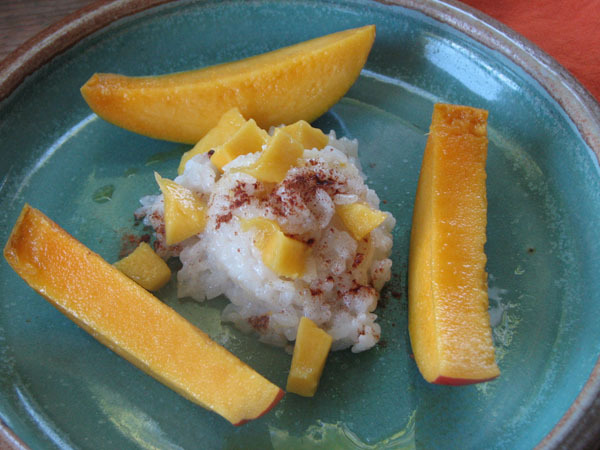 I will definitely make this dish again, and If I forget, I am sure my family will remind me, and request it. that looks crazy good Jillian. I think I even have just about everything to do a variation on a theme… Might end up as dinner tomorrow night for pre-anniversary dinner with my husband. Hi Cariann, It is crazy good! I really hope you make it, and I know you and your family will love it as much my family does. Thank you so much for reading my blog!